As a student at Clark University, writing will be an integral component of your education. Faculty across the disciplines stress writing as a means of reflection, inquiry and argument. 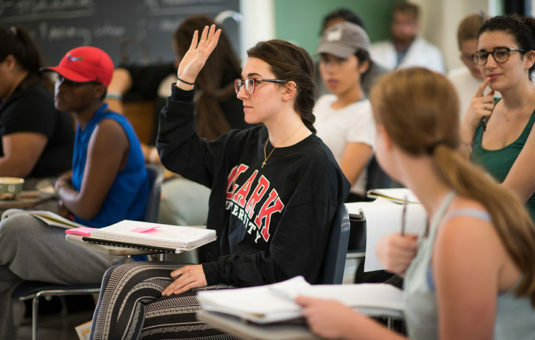 During your time at Clark, you will be asked to write in a variety of informal and formal genres—class notes, journals, responses, essays, research papers, quizzes, exams—so you will end up writing in almost every class you take, even if it doesn’t seem as if it will be writing-intensive. In these web pages you’ll find information about writing placement and the Writing Center. 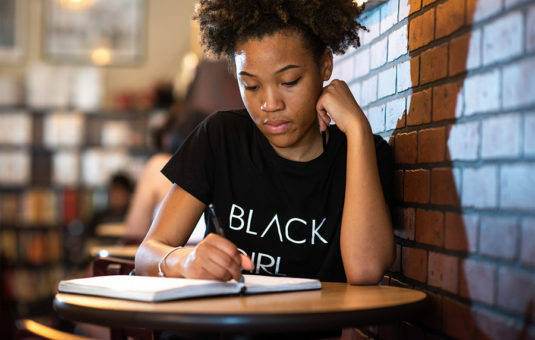 At key times during the semester you’ll also find descriptions of courses devoted to writing—including writing-intensive courses from across the disciplines— that will fulfill your Verbal Expression component in the Program of Liberal Studies. As an incoming first-year student you are required to complete a writing placement essay. Information about the 2019 writing placement process will be available in spring 2019. If you have questions prior to the information posted here, please do not hesitate to contact Jennifer Plante, Director of the Writing Program and Writing Center, or call her at (508) 793-7469. At Clark, we believe deep learning moves from the classroom to the world. This is why we structure our curriculum around Liberal Education and Effective Practice, or LEEP, which connects classroom learning with action through world and workplace experiences.